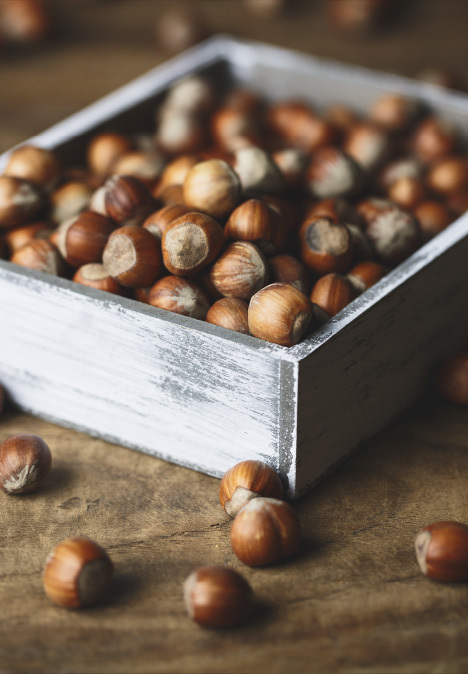 The story of Prodotti Stella and hazelnuts is a tale of love and success that has been made possible by well-established local traditions, a search for the very best ingredients and constant technological innovation in the production processes. Since Prodotti Stella was founded in 1936, hazelnut has been one of the flavours on which it has focused the most and invested the greatest amount in terms of research. Just as it did back then, Prodotti Stella chooses to use nothing but Italian hazelnuts, which are highly regarded all over the world for their quality and refined aromatic notes. It utilizes two varieties: Mortarella Campana and Tonda Gentile delle Langhe.